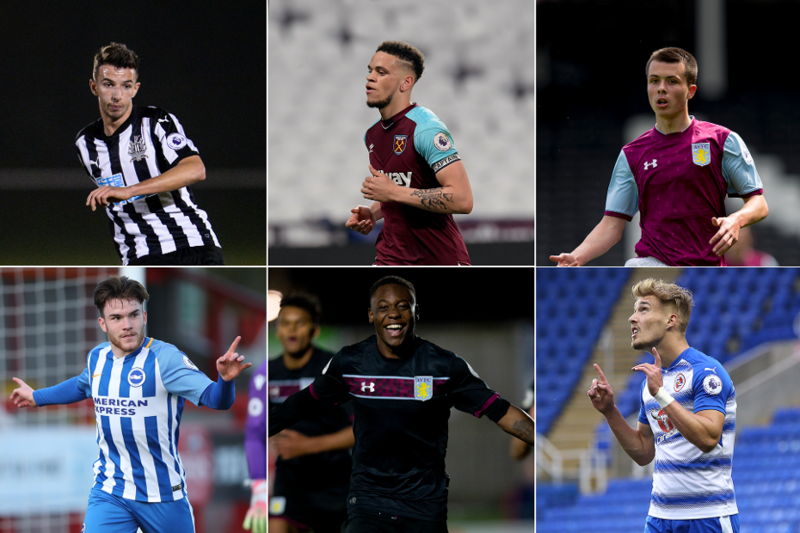 Six players have been nominated for April’s Premier League 2 Player of the Month award, with four of those helping their club’s promotion hopes from PL2 Division 2. The midfielder helped Newcastle to seven points from their last three matches of the season, including two assists in a 4-1 win at Reading. Barlaser, 21, also played in their 1-0 Premier League International Cup semi-final defeat by Porto. Browne started the month with the winning goal at Manchester City before scoring all four as West Ham won 4-0 at Everton. The 20-year-old also provided an assist as the Hammers succumbed to a 3-1 defeat at London Stadium that confirmed Arsenal as Division 1 champions. Clarke found the net in Aston Villa’s 3-2 extra-time win at Leicester City in the Premier League Cup semi-finals. The 19-year-old midfielder also impressed in his three league outings during April. The 18-year-old scored five times during the month, including a hat-trick against Wolverhampton Wanderers. Connolly's performances helped Brighton score 18 goals in April as they won their last three matches of the Division 2 campaign before beating Middlesbrough 3-0 in their play-off semi-final. Hepburn-Murphy scored twice in Villa’s 3-1 victory at Stoke City before helping the Villans beat Division 2 champions Blackburn Rovers. The 19-year-old also netted twice to inspire the PL Cup semi-final win at Leicester. Smith, a 20-year-old striker, scored a hat-trick in Reading’s final match of the regular season as they beat Stoke 3-1 to secure a play-off semi-final against Aston Villa. The shortlist was decided by the Premier League Football Development Panel, who will also select the winner, after PL2 club managers nominated the best performance from an opposing player for each of their league matches in April. The winner will be announced on Wednesday, 9 May.